When it rains, it pours. And looked how it poured for the Philippine Dragon Boat Team. First, it got the nation's fancy and admiration even before they arrived home. Now the whole country knew them, and of course, their story, the drama involved. When they returned home, they were received at Malacanang by no less than the President of the Philippines who also bestowed them a citation. Then came TV interviews and appearances. I like the honor given them last Sunday on ABS-CBN ASAP noontime show. The other day, the AFP, to which many of them belong, likewise gave them honors, followed by their appearance in Congress where several resolutions were passed in their honor. It's as if, everybody was making up for the shoddy and unfair treatment they got from our national sports bodies tasked to promote and finance sports in our country. They will have their "day in court" if and when Congress (or is it the Senate?) go on with their planned investigation of their plight. The chairman of the Philippine Sports Commission (PSC) Ritchie Garcia and a ranking Philippine Olympic Committee (POC) official Jeff Tamayo (the same official who uttered that now famous dig or insult to the players by describing them as "old" and "ampao") were quoted in media as saying that the "be all, end all" of government funding is the Olympic gold. 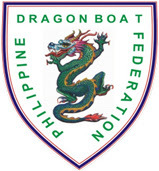 And since the dragon boat is not an International Olympic Committee (IOC) event, nor its federation recognized by IOC, our dragon boat team does not deserve their funding and subsequently their attention. If that is so, then PSC and POC shall henceforth stop all funding and programs of IOC events like basketball, football, tennis, track and field, swimming, volleyball, and many more simply because these events can not in many lifetimes produce Olympic golds. And this includes Tamayo's event, soft tennis, where he is the president of their association. Excuse me, but does anybody know what is soft tennis and who are our players, and what are their international standings? The only legitimate event they should support is boxing where we stand a good chance of Olympic gold. Now, the question is: after all this euphoria, what's next for our dragon boat team? Quo Vadis? It seems sad to ask it considering that this sport has its ancient origin 2000 years ago in the Kingdom of Chu. According to Inquirer's columnist Patricia Evangelista (Aug.14 issue), its origin can be traced back to the time when a well loved Chinese poet, "Qu Yuan jumped into the Mei Lo River as a final act of protest against a corrupt government. The fishermen tried to save him, sailing up and down the river, thrashing the water with oars and paddles to frighten away the fishes. This tradition spanned generations, with paddlers standing at the head of long boats while a drummer pounded a rhythm to frighten evil spirits. They were called dragon paddlers. And the story goes that when they rowed, they rowed with honor. 2000 years after, the dragons still fly."